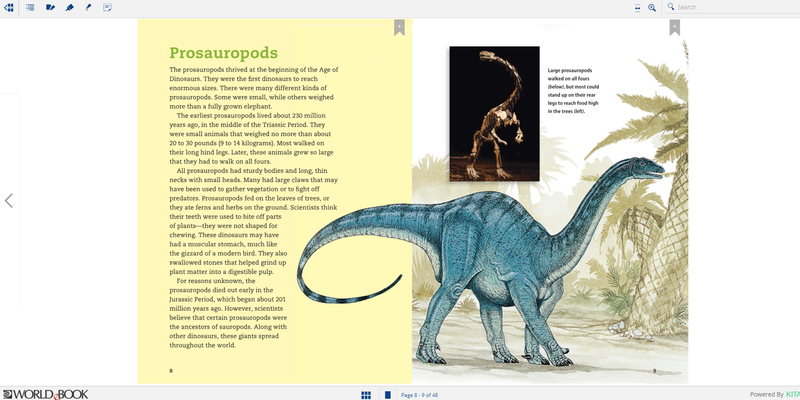 A subscription to World Book eBooks offers unlimited simultaneous user access to a fast expanding collection of over 1,800 titles, many of which contain multimedia features such as videos, audio, games and activities which have been designed to make learning fun. 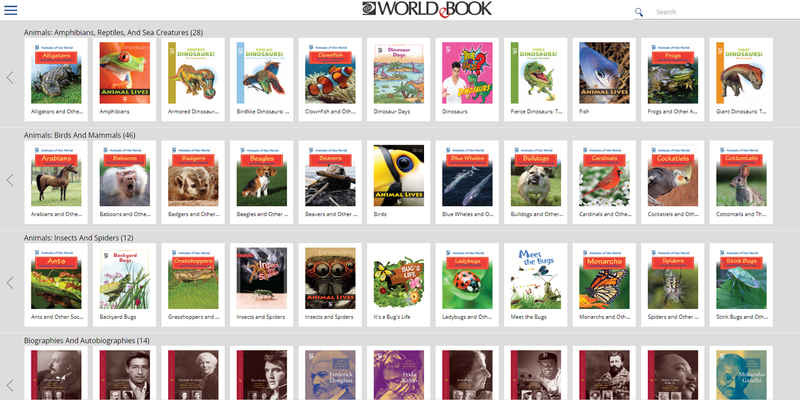 The collection includes access to popular World Book titles such Animal Lives (7 volumes in print), Learning Ladders 1 and 2 (10 volumes in print each), the innovative and fun “graphic novel” style series Building Blocks of Physical Science (10 volumes in print) and Building Blocks of Mathematics (6 volumes in print). 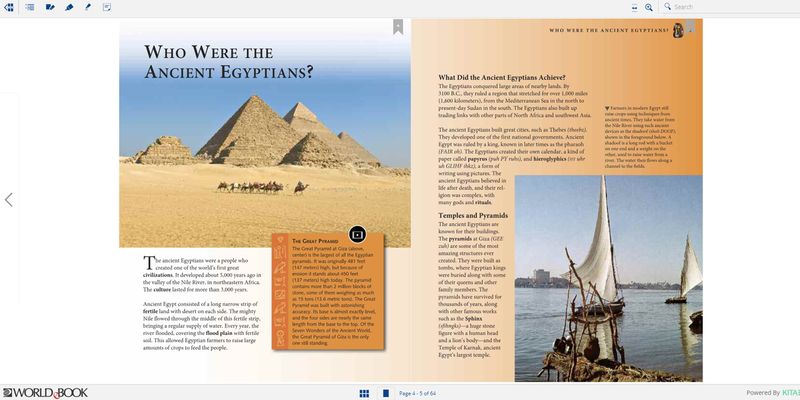 It also includes access to an fast expanding selection of important classic novels and plays.